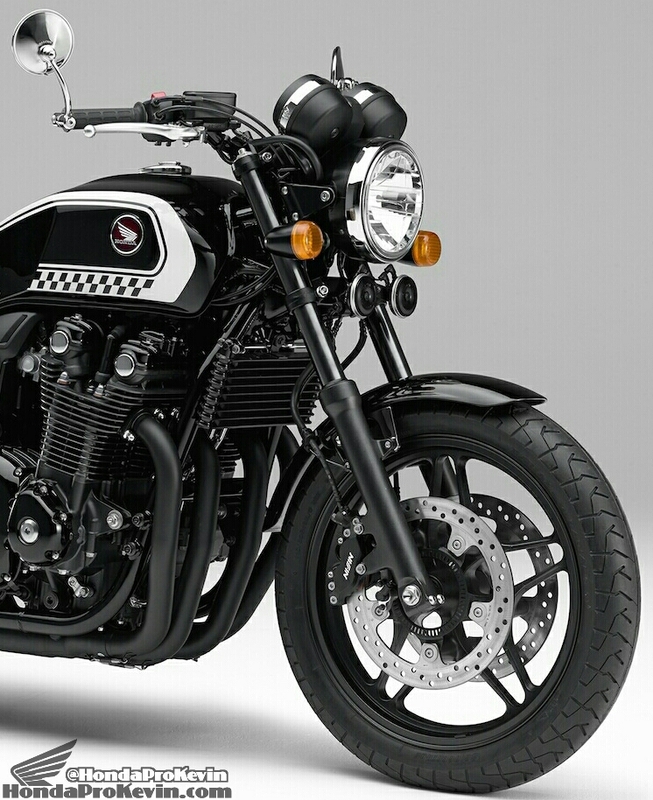 Honda CB1100 Custom Concept | 2017 = Back to the USA? I’m a little behind on this update but better late than never. 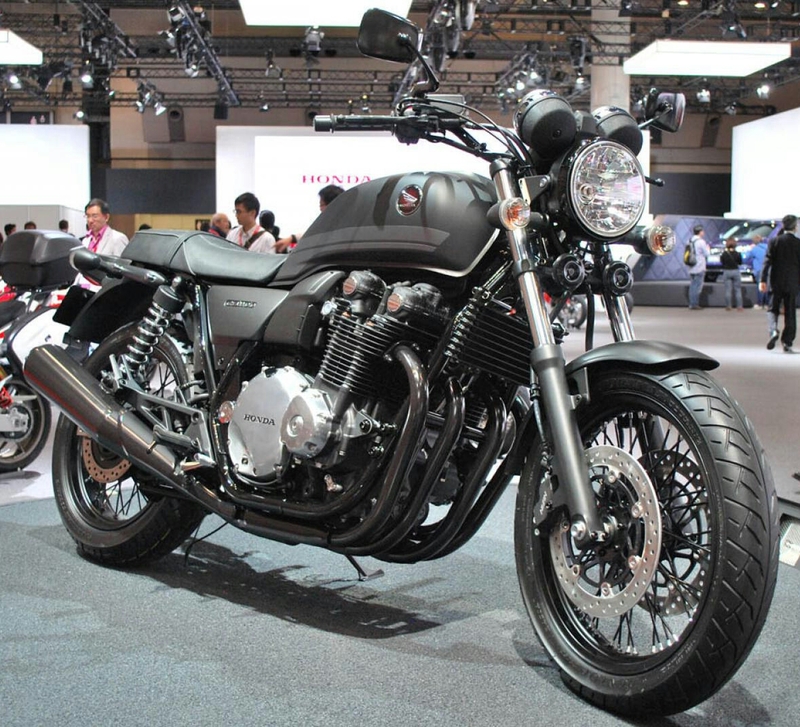 A couple days ago on September 30th, 2015 – Honda made the announcement on their motorcycle model lineup that will be on display for the 2015 Tokyo Motor Show. 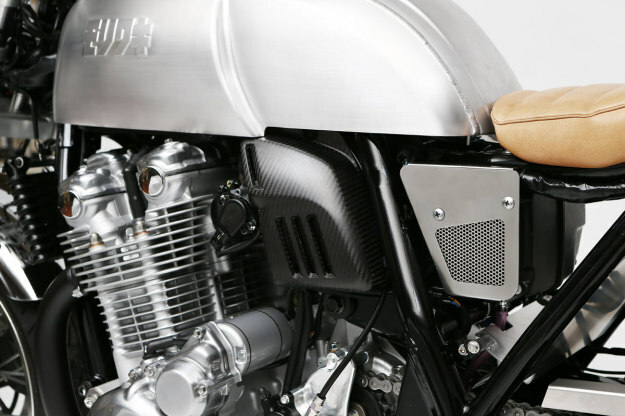 Honda put very few details up on these concept / custom motorcycles but a teaser is better than nothing in my opinion. 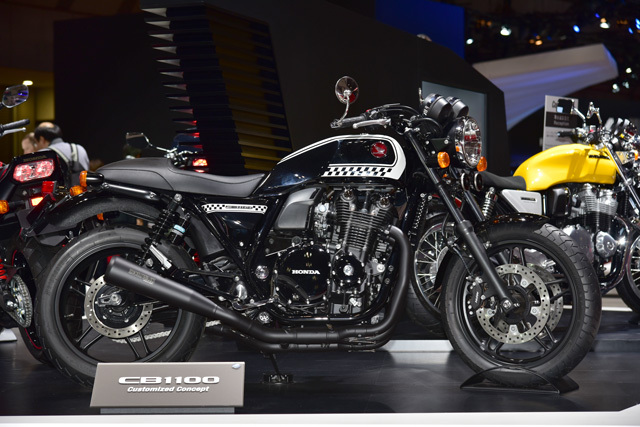 The black CB1100 pictured above for the Tokyo Motor Show is referred to as the Honda CB1100 Custom Concept. 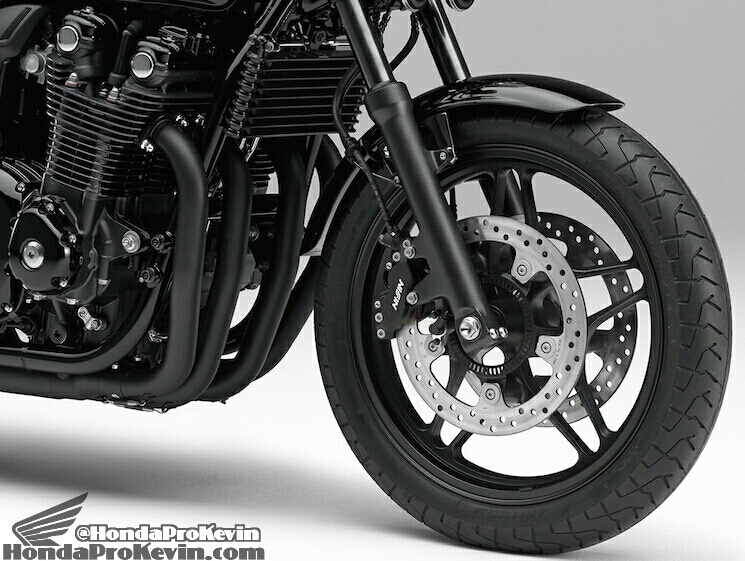 Black didn’t seem to be a popular with my customers for 2014 but this custom build from Honda mixes it up a little bit and isn’t just the standard blacked out model that some found “boring”. 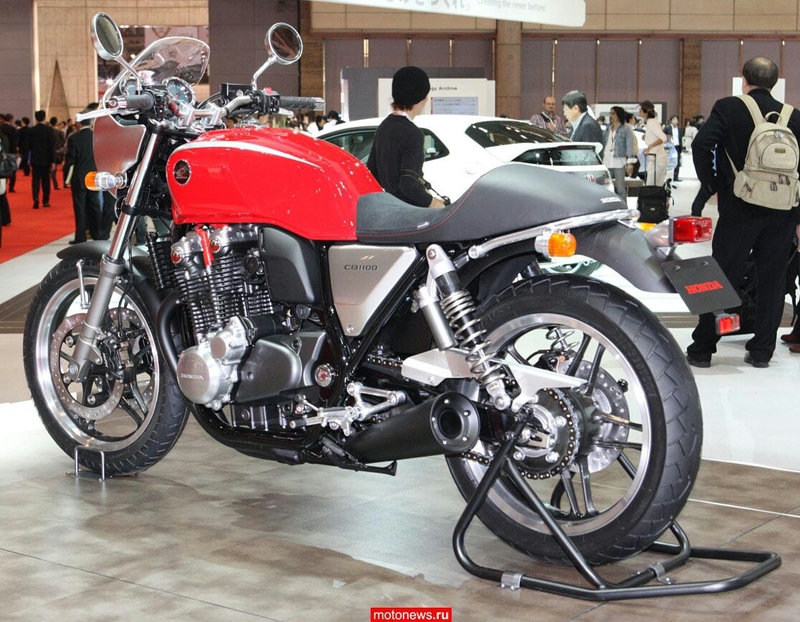 Want to see more pictures of the yellow Honda CB1100 Concept pictured above? 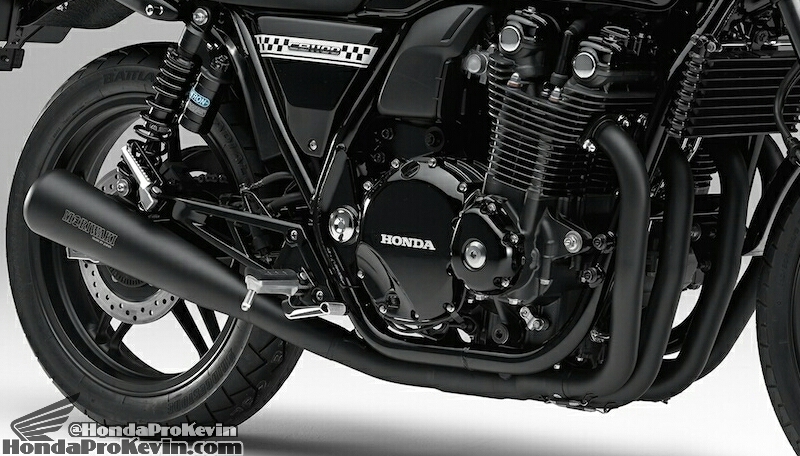 Check out the CB1100 Concept photo gallery here. 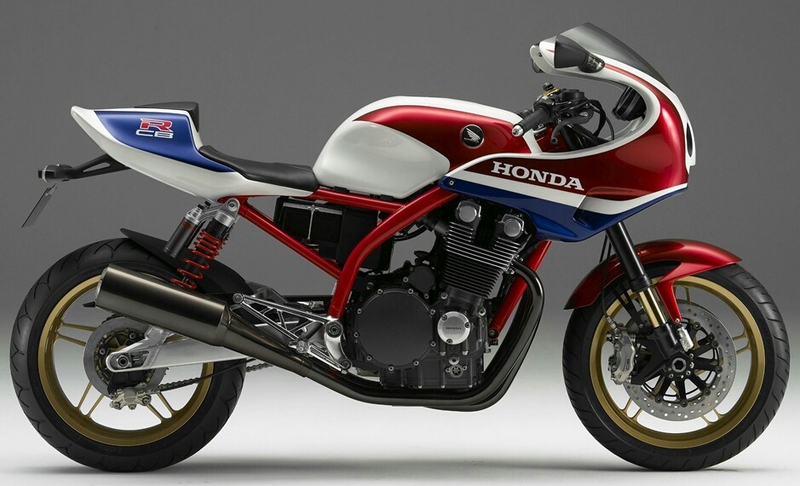 Honda surprised us all and introduced the CB1100 to our side of the pond back in 2013. 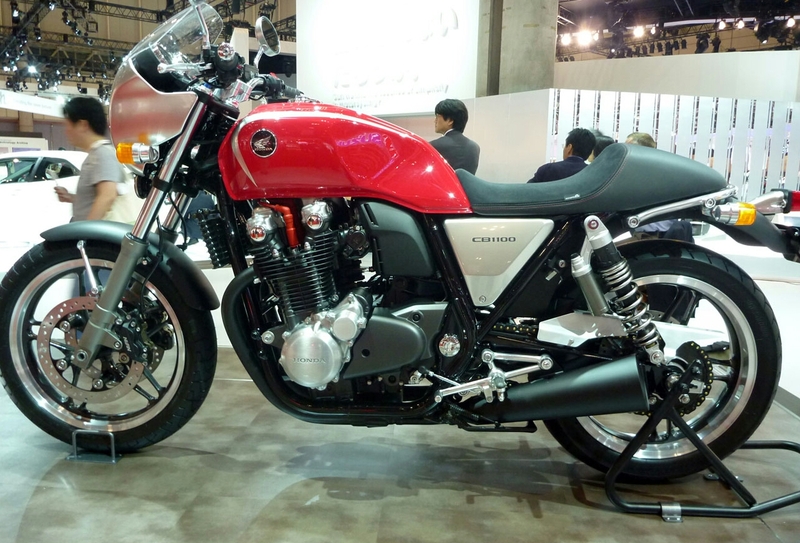 We were last to get the CB1100, Honda introduced it back in 2010 for multiple other countries overseas. 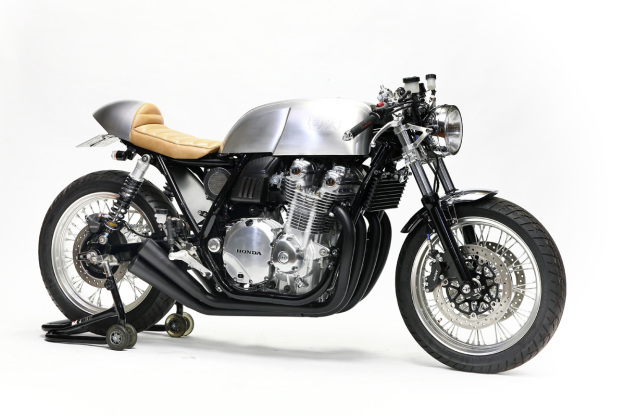 The modern take on a vintage classic, the legend – Honda CB750. 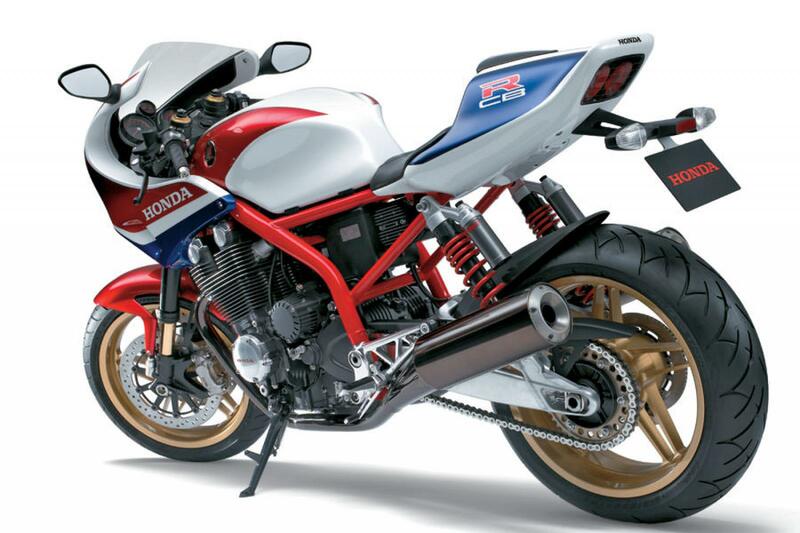 With its affordable MSRP / Price at $9,999 the bike was a hit with a mixture of enthusiasts from younger guys that had a sweet spot for classics but wanted a turn-key bike they wouldn’t have to wrench on and worry about sourcing parts for a vintage bike which can be quite the task in itself. 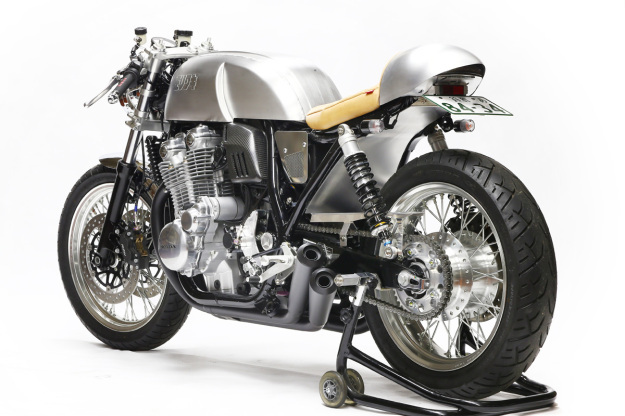 Then you had the more mature group of riders (sounds better than “old guys” haha) that had a CB750 etc or dreamed of owning one etc when they were younger but never had the chance. 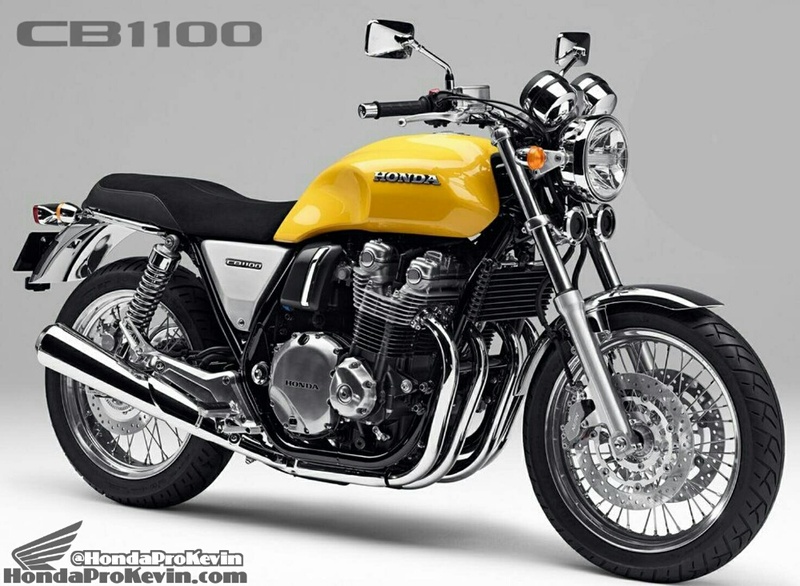 The CB1100 hit a sweet spot with a broad range of buyers and not many bikes have that effect these days. 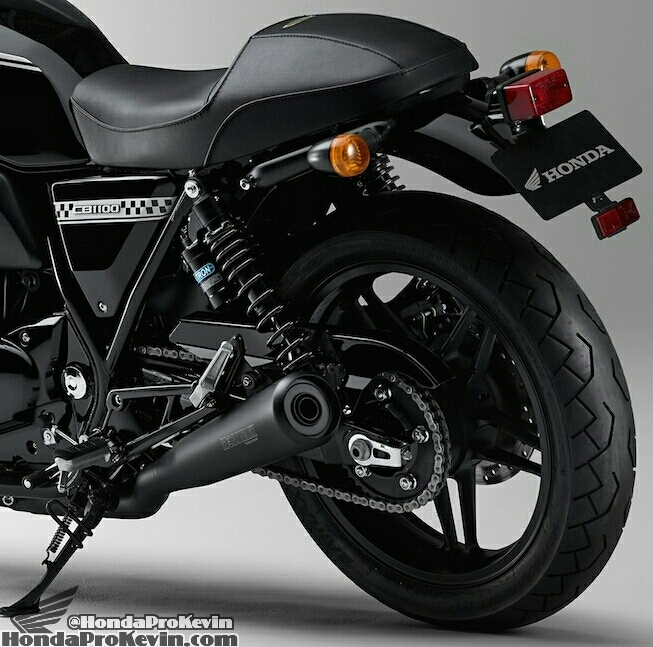 The only other one off the top of my head would be the Honda Grom. 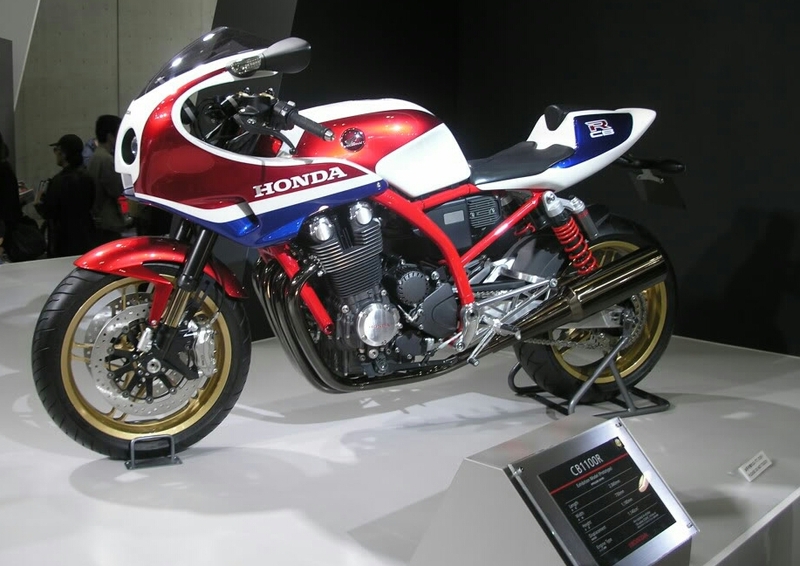 Honda did hold back on us here in the USA on the CB1100 and didn’t give us all the model variations that they offered in other countries. 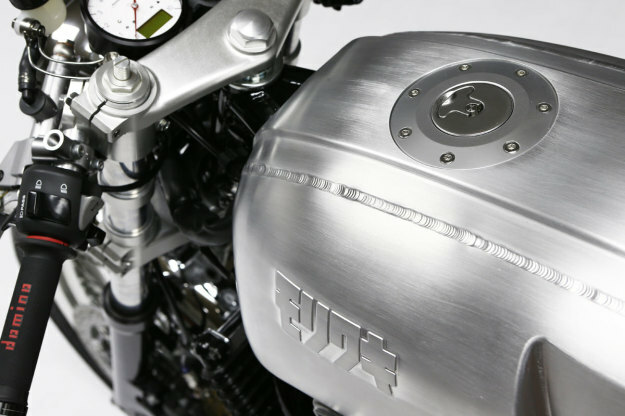 Typically when a new model is released, a manufacturer will run that model out for a few years until they make ant changes to it. 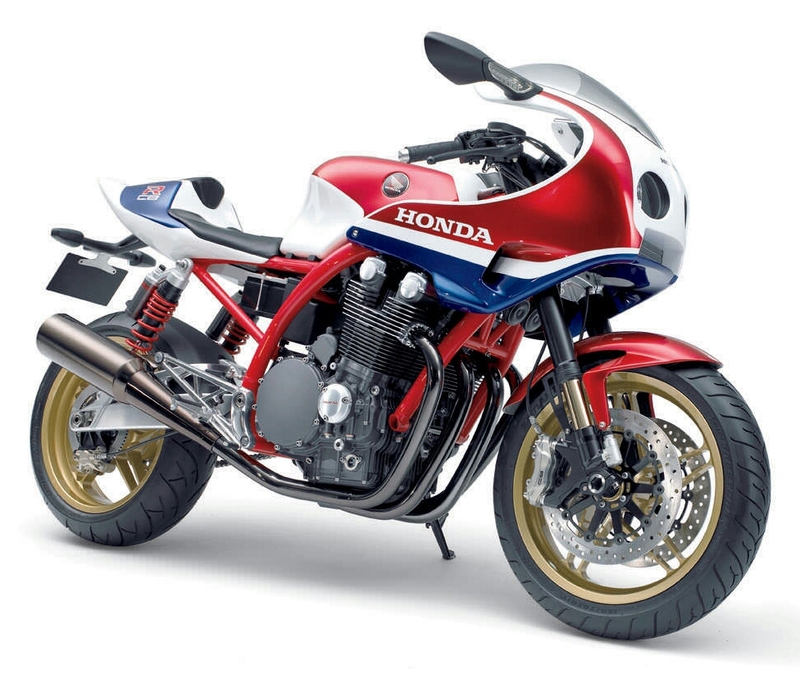 This is to help recoup their initial cost of R&D etc but Honda threw a curveball in 2014 on the CB1100. 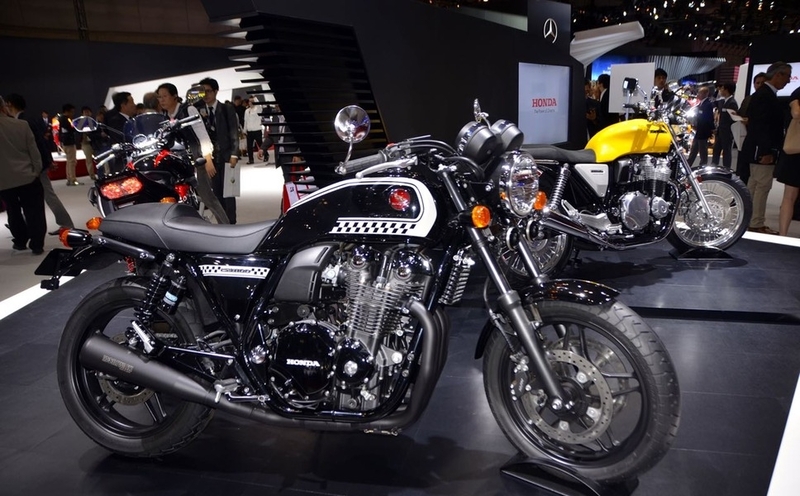 Honda went back to the drawing board on the 2014 CB1100 and made some rather large changes including a larger fuel tank on the Deluxe, added an extra gear to make it a 6-speed transmission versus the 5-speed on the 13′ CB1100. 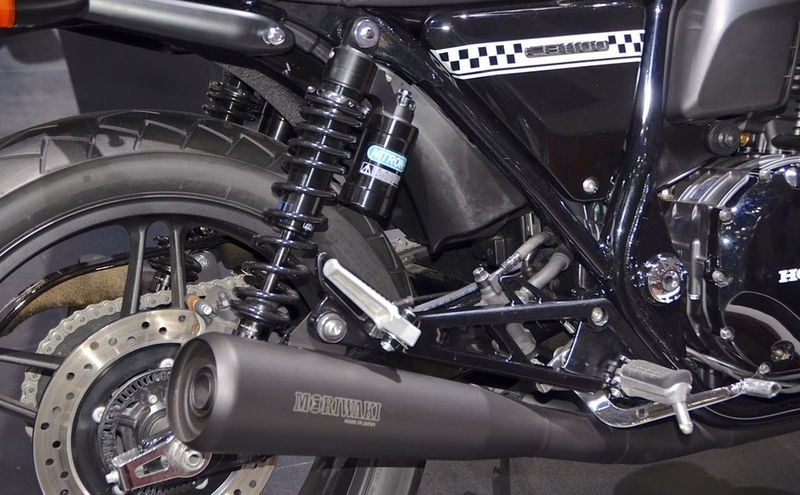 Some other minor touches were altered but I won’t dive into those at the moment since I’m a little more long-winded than I anticipated I’d be on this post abut a possible 2016 CB1100. 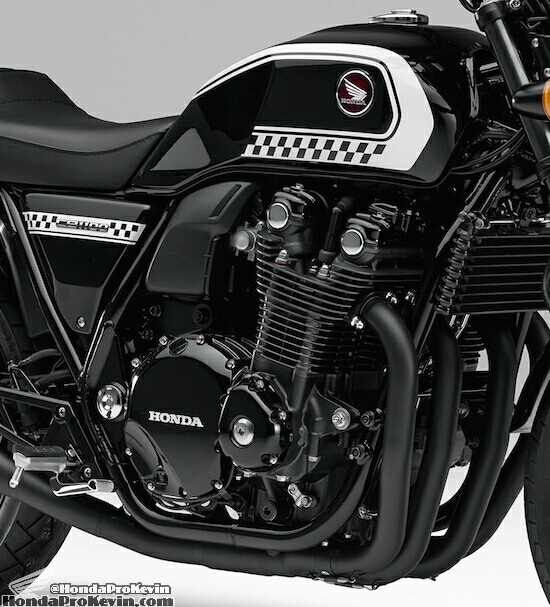 Honda also mixed the colors up on the standard CB1100 and replaced the candy red with a black on black look. 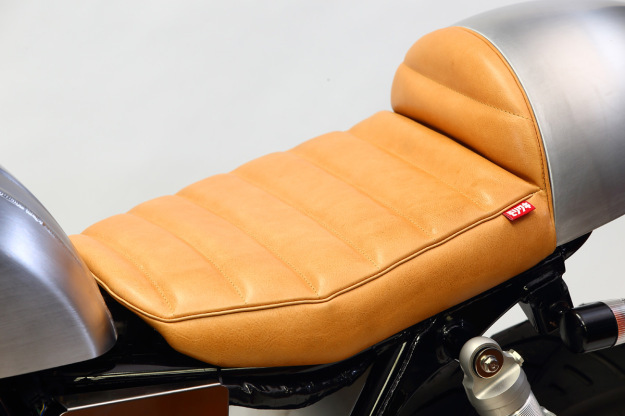 Honda did keep the red around though for the CB1100 Deluxe version which gave you the larger fuel tank, dual exhaust, color-matched side panels, altered throw-back style seat and more small touches to really set the Deluxe model of the CB1100 apart from the “base” model. 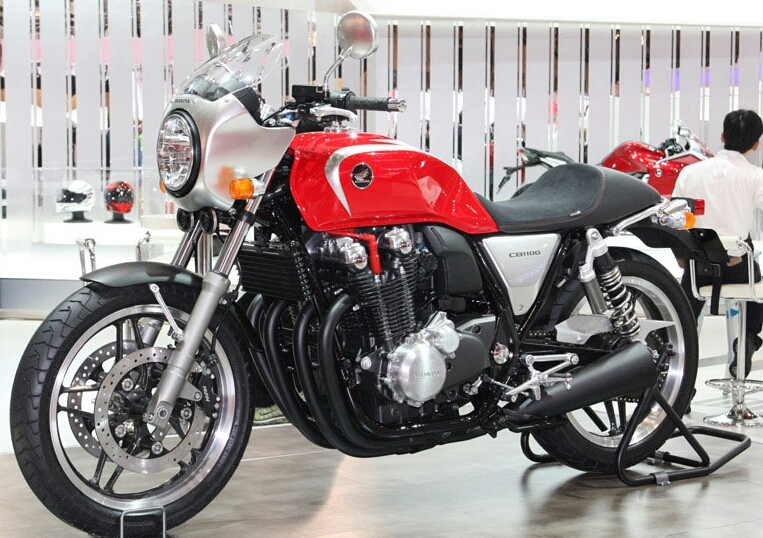 Even though the 2014 CB1100 Deluxe had a price tag that was nearing $12,000 compared to the $10,399 on the base – the Deluxe slaughtered it in sales #’s and popularity. I’ll draw this long novel closer to an ending now as it’s drawing on longer than I planned. 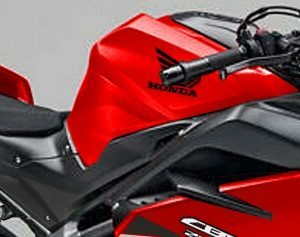 When Honda started making their 2015 motorcycle model announcements for the lineups we kept awaiting information on the 2015 CB1100. That day never came though, we thought to ourselves that maybe there was a delay and it’d be released shortly. 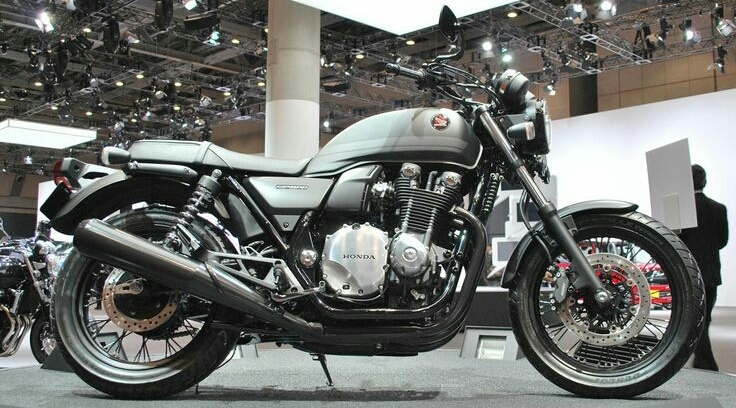 Long story short, the 2015 Honda CB1100 and 2015 CB1100 Deluxe never happened. 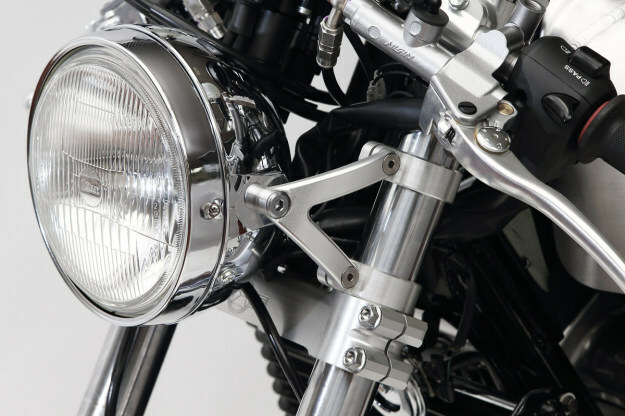 The next important date is October 28th through the 30th, 2015. 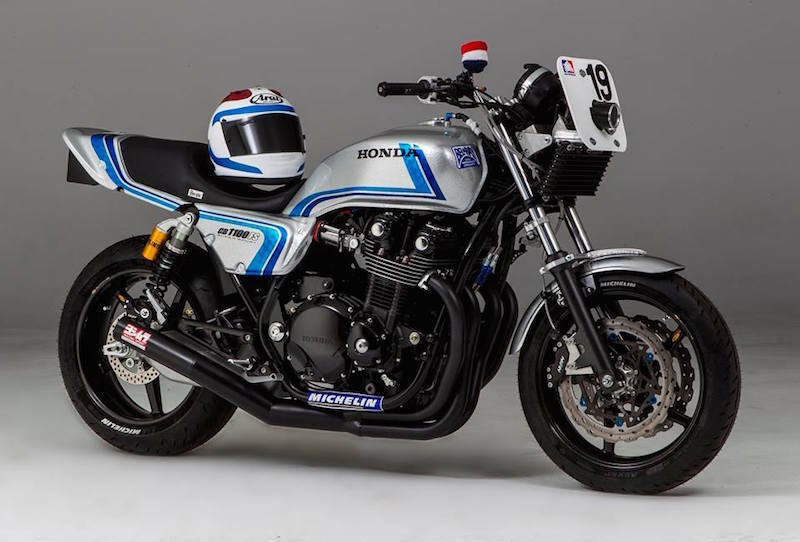 Honda will have this Custom Honda CB1100 Concept on display as well as many other awesome bikes, cars, toys that you can see more details on here. 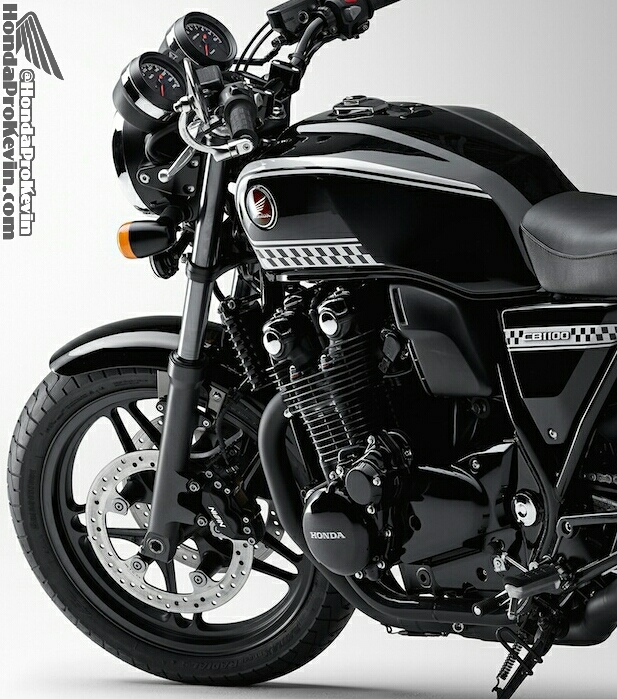 Keep an eye here at HondaProKevin.com or on Facebook, Twitter, Instagram etc for info and updates that are posted quicker than I can get them up here on my blog. 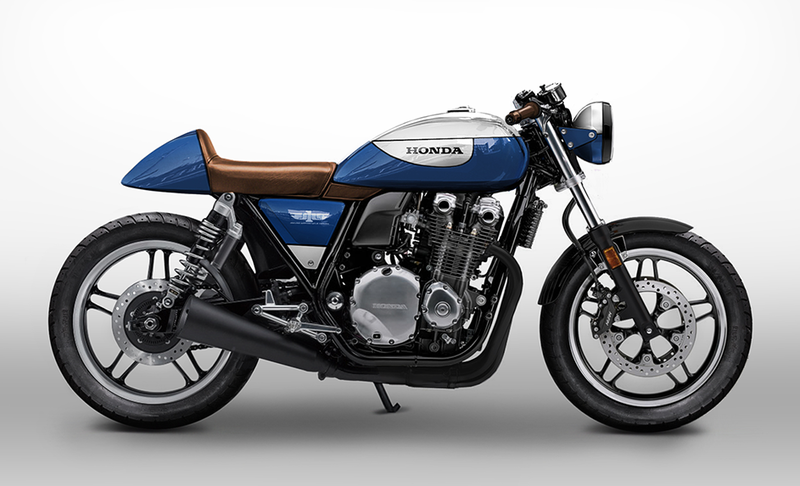 What do you think about this Custom Honda CB1100 Concept? 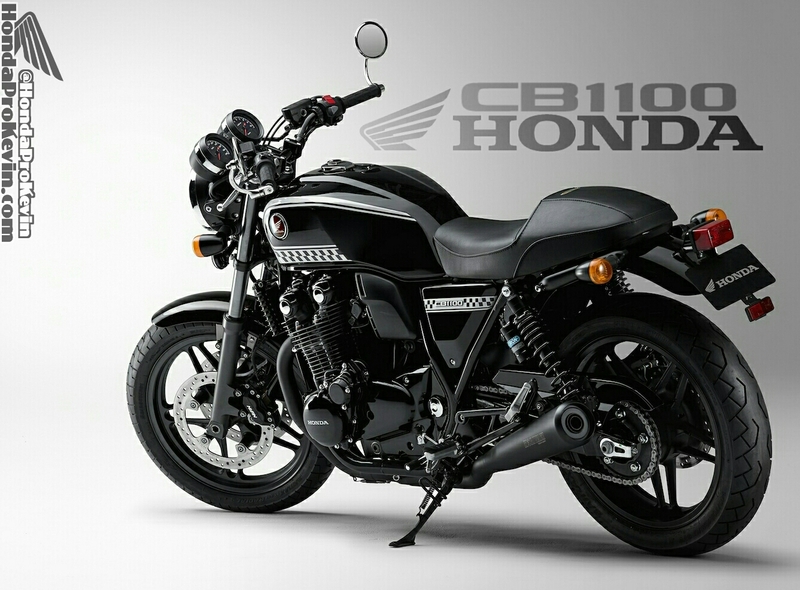 Would you like to see the production version of the CB1100 like this offered? 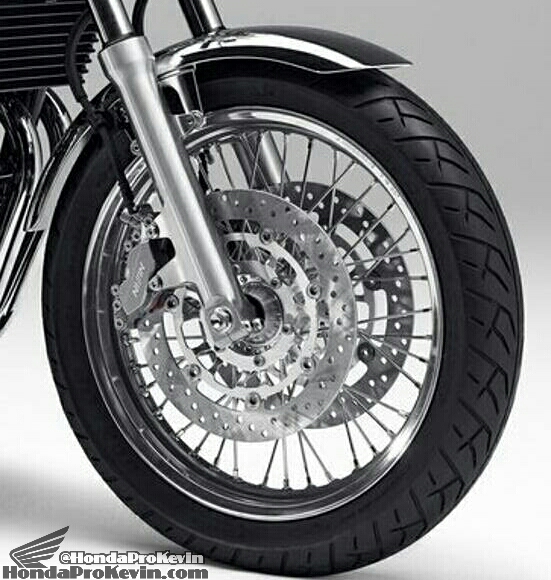 How about different custom variations like a Cafe style etc so you had a couple of “Custom” OEM options to choose from? 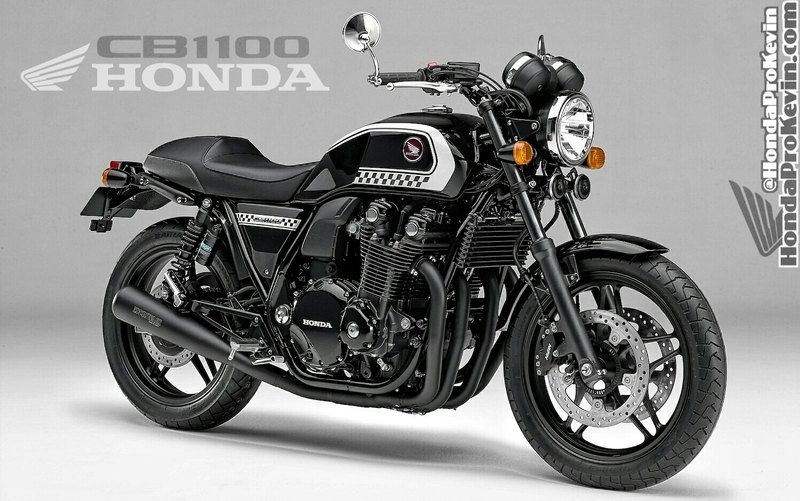 What changes would you like to see on a 2016 Honda CB1100? 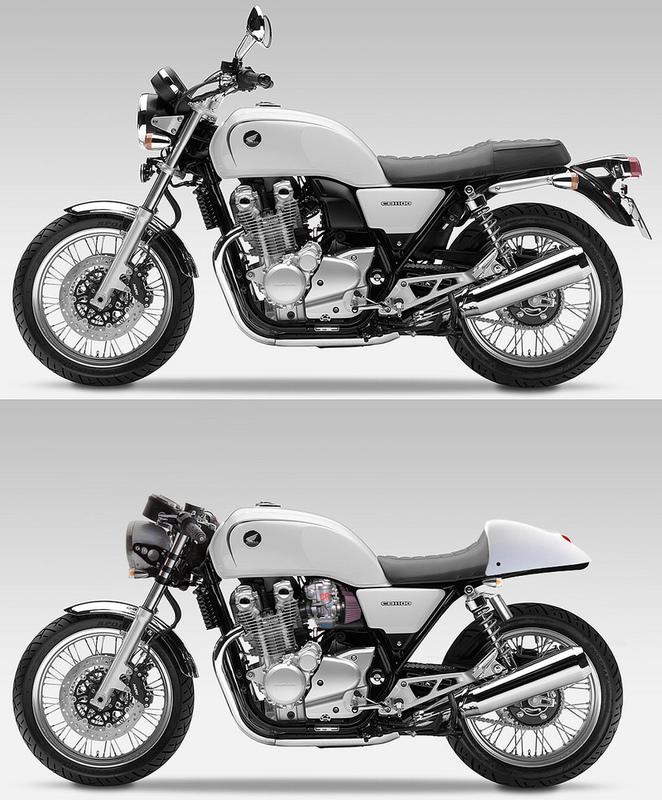 Here’s a few custom Honda CB1100 pictures to hold us over until we get more details on the CB1100 and possible 2016 CB1100 info soon.